By Eugene Pechaubes. Image size 40'' x 14'' (102 x 35 cms). 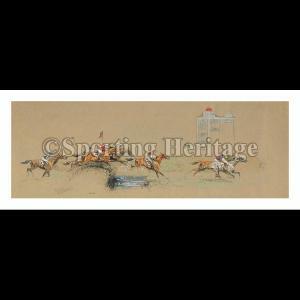 This charming lithograph depicts a race at the Auteuil Hippodrome in Paris. 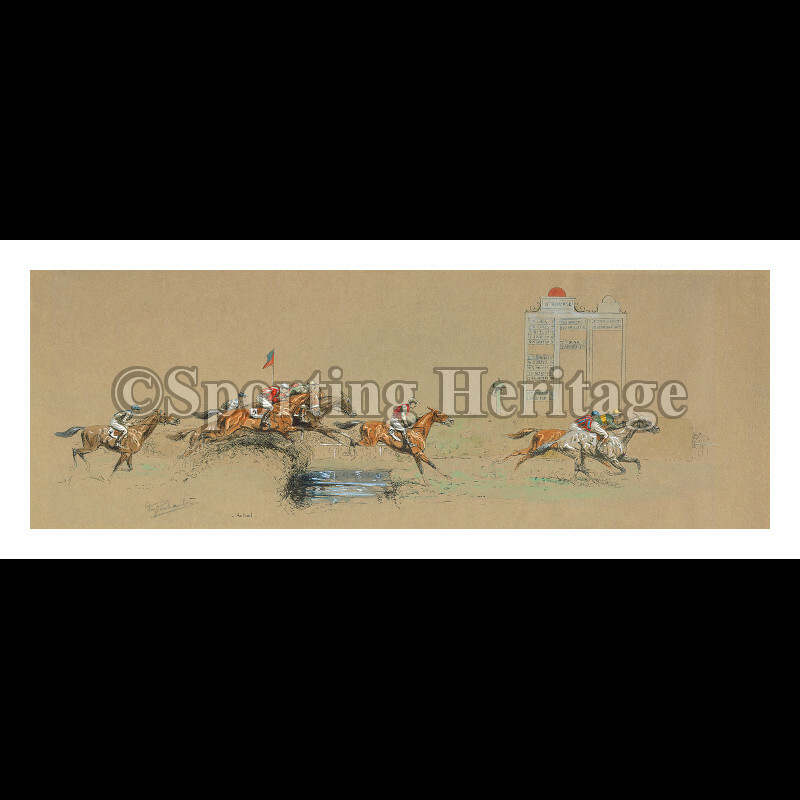 The 82-acre Auteuil Hippodrome, which stands on the Route des Lacs in Paris, opened in 1873, and was designed exclusively for steeplechase racing. 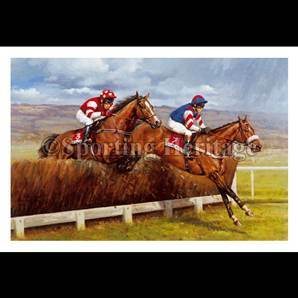 This is wonderfully illustrated here, with a fine field of horses negotiating a challenging water jump. 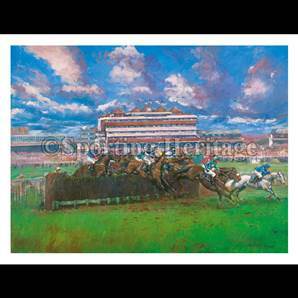 The event shown is likely to be the Grand Steeple-Chase de Paris: this is the most important steeplechase event in France, and was first run at Auteuil soon after its opening, in 1874. Set of two - 'Auteuil' and 'Longchamp'.